The Myeik Archipelago of western Myanmar consists of more than 800 islands and has been considered one of the most diverse and scenic natural marine environments. Unfortunately, the region is rapidly developing into a main tourist destination for Myanmar visitors, putting it under increasing pressure. 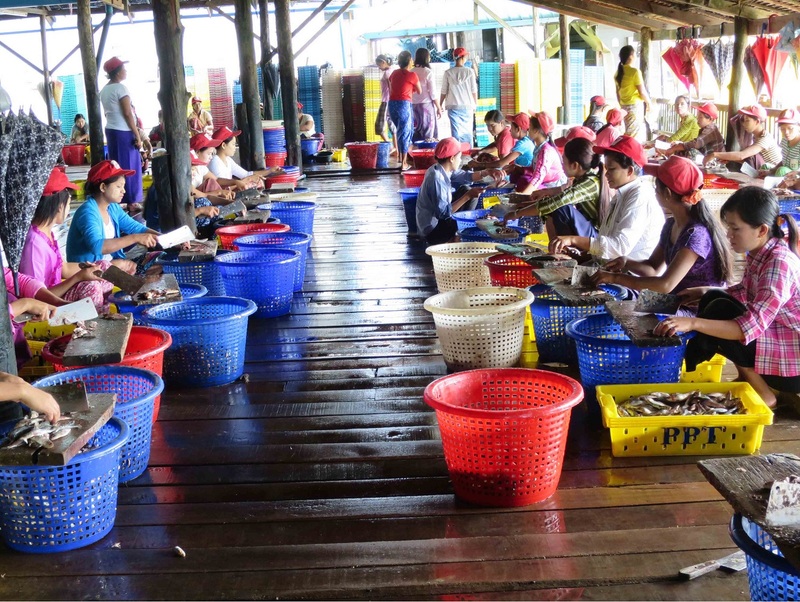 The Crawford Fund has previously engaged with the Myanmar government and has been part of developing a plan to allow sustainable use and conservation of this unique environment. For instance, the Fund supported the first ecosystem characterisation workshop of the Bay of Bengal in 2014. 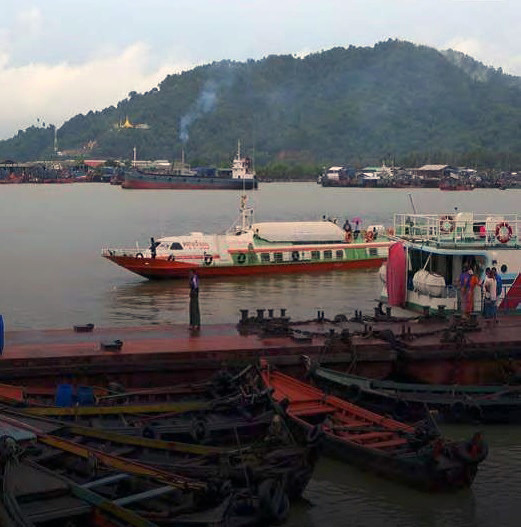 The Myeik Archipelago of western Myanmar is widely recognized as a priority for conservation and management, due to the unique species and habitats, and pressures from development and resource use. 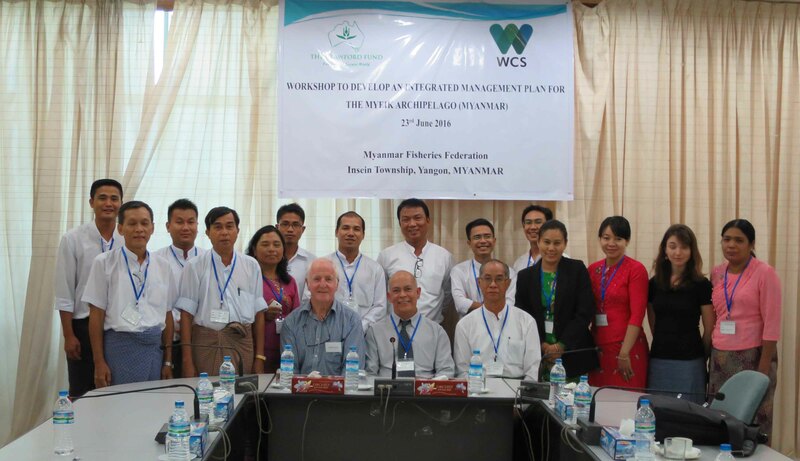 Earlier this year, a ‘Training Workshop on Integrated Management Planning for the Myeik Archipelago (Myanmar)’ was held at the Myanmar Fisheries Federation (MFF) West Gyogone, Insein, Yangon, Myanmar. 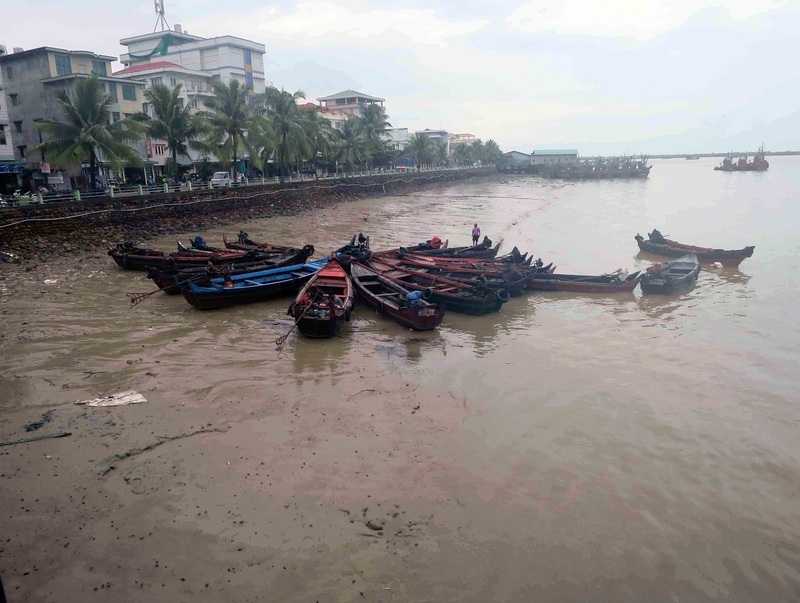 This training workshop aimed to exchange information on what integrated management approaches have been used elsewhere and to discuss what might be best suited in dealing with the issues facing the Myeik Archipelago. The 25 participants were encouraged to discuss their present and past research work, the implications for management, and the merits of alternative approaches for the future integrated management of the Myeik Archipelago. The agenda for the workshop included a number of presentations by Universities, NGOs, the Department of Fisheries and international agencies. 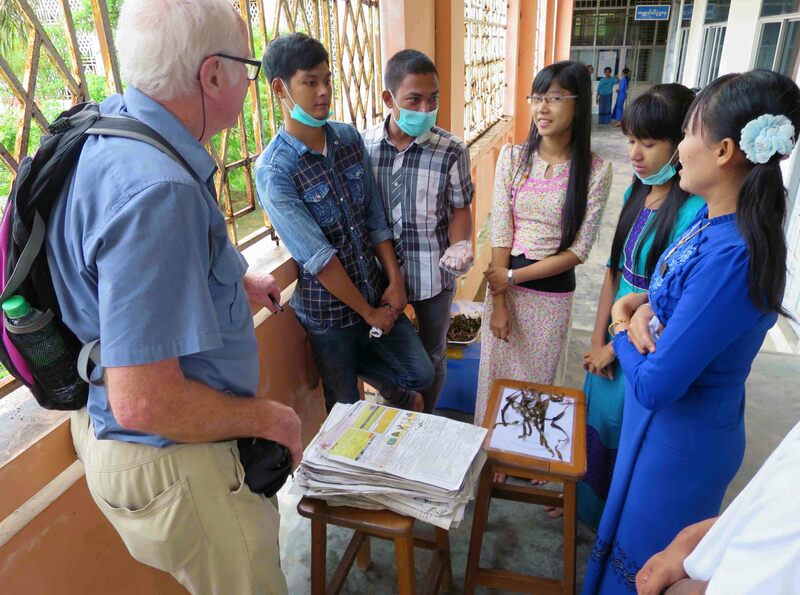 Supported by the Crawford Fund, the training workshop was run by Dr Vincent Lyne (previously of CSIRO), Dr Hugh Kirkman (retired UNEP—Regional Office Officer) and Dr Mya Than Tun (the Wildlife Conservation Society of Myanmar). Dr Lyne, who now volunteers as a marine and livelihood expert for developing countries, developed the systems science approach which was widely used in Australia’s national marine regional planning program, and helped develop the approach used in the BOBLME Ecosystem Characterisation project. Dr Kirkman also worked for CSIRO and wrote the Trans-boundary Diagnostic Analysis for Coral and Seagrass of BOBLME. He specialises in assessing and managing threats to marine ecosystems.